'Most Inspiring International Playwright Award' – Assitej, at the world Congress, Capetown. Winner UK Theatre awards ‘Best Play' for his adaptation of 'The Hobbit’. Kevin Dyer is the company's Associate Writer. He runs creative writing sessions, writes plays, helps other people write plays, runs collective-writing processes, and helps keep new writing at the heart of the company. He is particularly interested in bringing young and aspiring writers into the company - so they can share, learn from and contribute to Action Transport Theatre's work. He also works as a freelance playwright, and has written two open-air promenade shows for The Dukes, Lancaster ('Beauty and the Beast' and 'Jason the Argonauts'), and has just finished 'Baghdad Zoo' as part of 'Playhouse' for Dundee Rep, Theatre Royal Plymouth, Polka and York Theatre Royal. He's also written plays for Travelling Light (including an adaptation of Alan Garner's 'The Stone Book'), Nottingham Playhouse Roundabout, New Perspectives and Sixth Sense. He became a writer at the age of nine and a half when his primary school teacher, Mister Fox, typed up a story he had written. The fact that one month later the nice Mr Fox ran him over in his car (and Kevin had to go to hospital, be cut out of the jumper his mum had knitted for him, and have stitches in his head - all true) did not deter him. He is now a playwright with over 50 plays behind him. He's also a published poet; a leader of many creative-writing sessions; an ex-magazine and newspaper journalist; an actor and a theatre director. 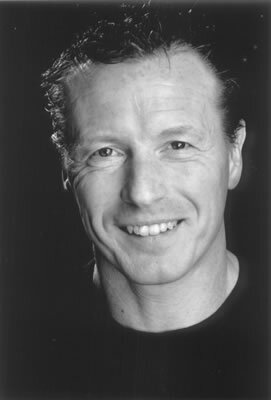 He was recently short-listed for the Brian Way Award, he is a judge for the Anne Pierson New Writing Award, and is plays 'The Bomb' and 'The Monster Under the Bed' are published by Aurora books. MA (Hons); Post-Graduate Dip. in Theatre Studies - distinction. Specialist in making new work/new writing/devising. Freelance teacher/director for Rose Bruford Drama College. Workshops devised/led for: Clwyd Theatr Cymru (TIE workshop leader , and Spring and Summer drama course leader); Bristol Old Vic. ; Derby Playhouse TIE; Northampton Royal TIE; Avon Touring YPT; Nottingham Roundabout TIE; Avon Community Theatre Association (ACTA); Llanover Hall Youth project, Cardiff; Charles St Youth Project, Cardiff; Black Door Theatre Co; Cheltenham Everyman Theatre; Oxfordshire Touring Theatre Co.; Travelling Light Theatre Co.; South Glos. Education International Partnership; Builth Wells Community Play; Flintshire Education, Denbighshire Education. Drama teacher for one year, St Michael's School, Old Woking.